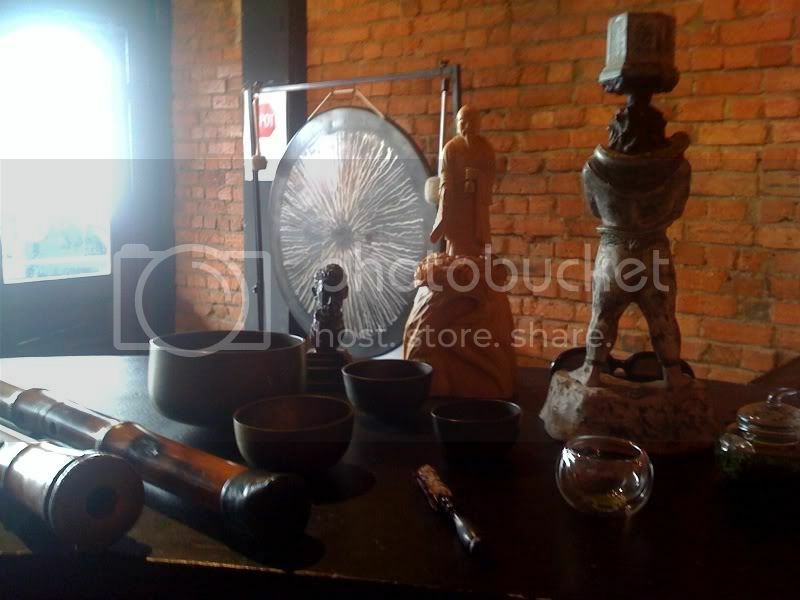 Myoan 2.0, Okubo Kodo 1.9, bust of Samuel Beckett, statue of Fuke, incense burner with fundoshi, Japanese bells, sunglasses and tea accoutrements. The building is "Heritage Listed". Convict brickwork. I recently moved the shop down the street. The building is Upper West Side, Pre-war.